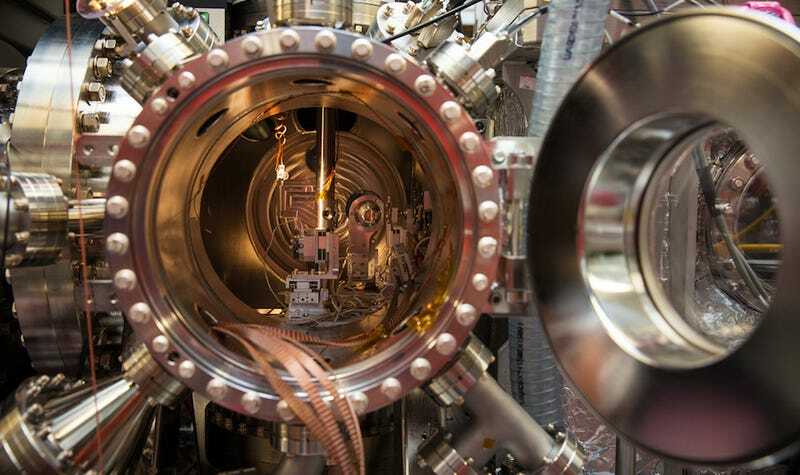 The SLAC National Accelerator Laboratory is one of those places that makes magic. Originally named the Stanford Linear Accelerator Center, this facility is where many modern discoveries about how matter works were made. Six researchers have earned Nobel prizes for their work at SLAC. It's also where the first website in North America was built. Today, SLAC is up to all kinds of good things. Many of the projects involve the Department of Energy facility's 1.9-mile-long Linear Accelerator, the longest such device in the world and one of the longest buildings on the planet. But they also help operate a Fermi gamma ray space telescope—which is what Andrea Albert works on. After earning her Ph.D. from Ohio State last spring, Albert took a job at SLAC where she now searches for gamma ray signals from dark matter. Albert agreed to come hang out at Gizmodo for an afternoon and answer questions from anybody who has them. Curious about dark matter? Got questions about gamma rays? Ever wonder what a particle accelerator smells like? Ask away in the comments below, and Andrea will start answering at 2pm EST. Update (3:15): Andrea had to get back to the gamma rays, so that's it for now. Thanks for the questions! That's Andrea giving a thumbs up at the Department of Energy's Fermilab in the photo above.